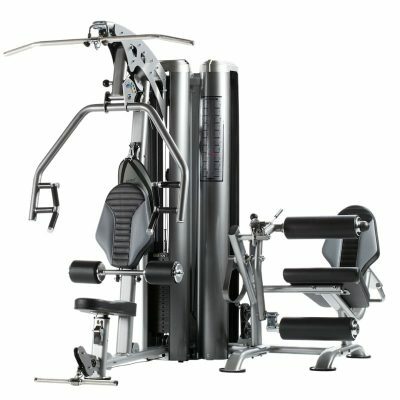 For nearly three decades, the TuffStuff Apollo Series has set the industry standard against which all other multi-stack gym systems have been measured. 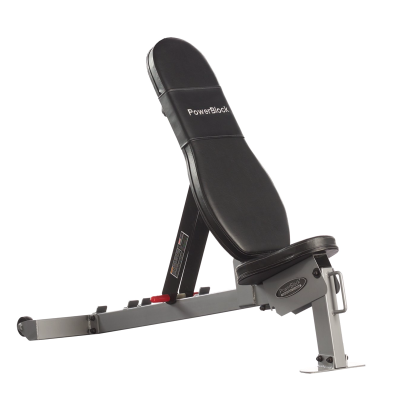 The modular design offers versatility, allowing you to customize the configuration to best suit your needs. 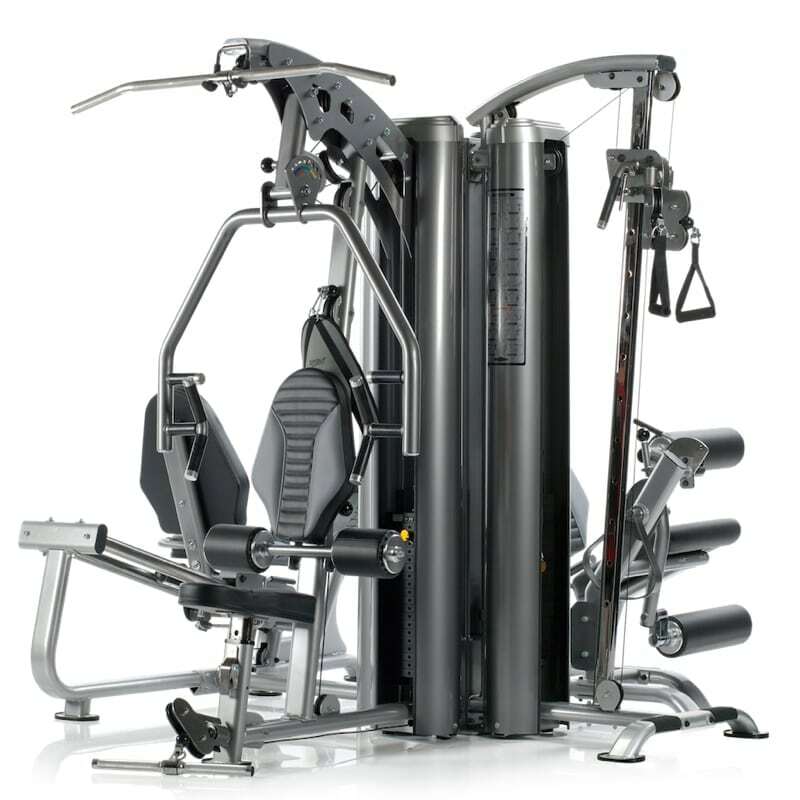 With features as legendary as its name, and improved technology and materials, the Apollo 7000 series is the ideal choice multi-stack gym for your fitness facility or home. 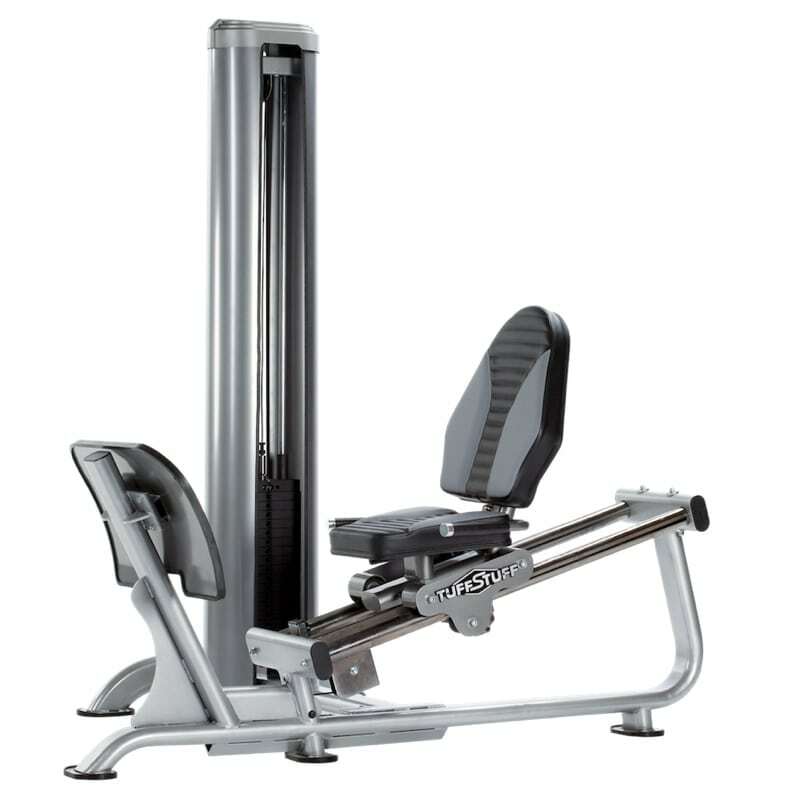 The Apollo 7400 4-stack gym unit offers the Multi Press, Leg Extension/Curl, Dual Pulley Column & Leg Press Station designed to accommodate 4-users at the same time and is great for any home to maximize space efficiency. 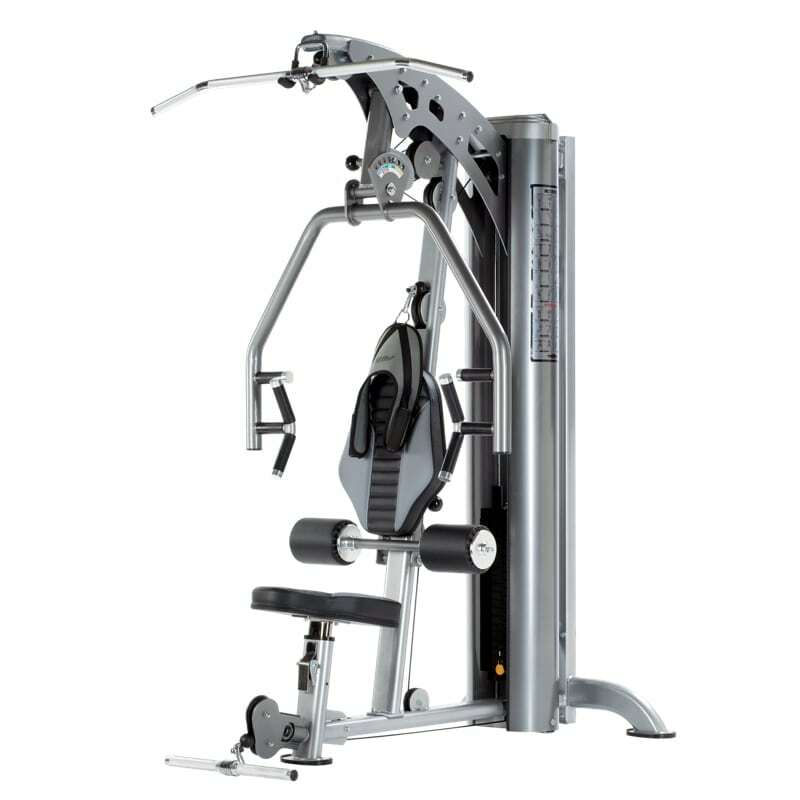 Finished with a beautiful, durable electro-static powder coating in modern Platinum Sparkle and Catheral Grey, the frame of the TuffStuff AP 7400X is striking, and the integrated rubber stabilizers provide a strong and stable foundation. 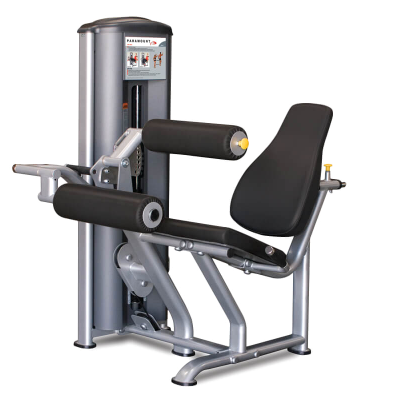 Full-length steel weight shrouds and cover plates ensure it looks aesthetically pleasing; and improve user safety. 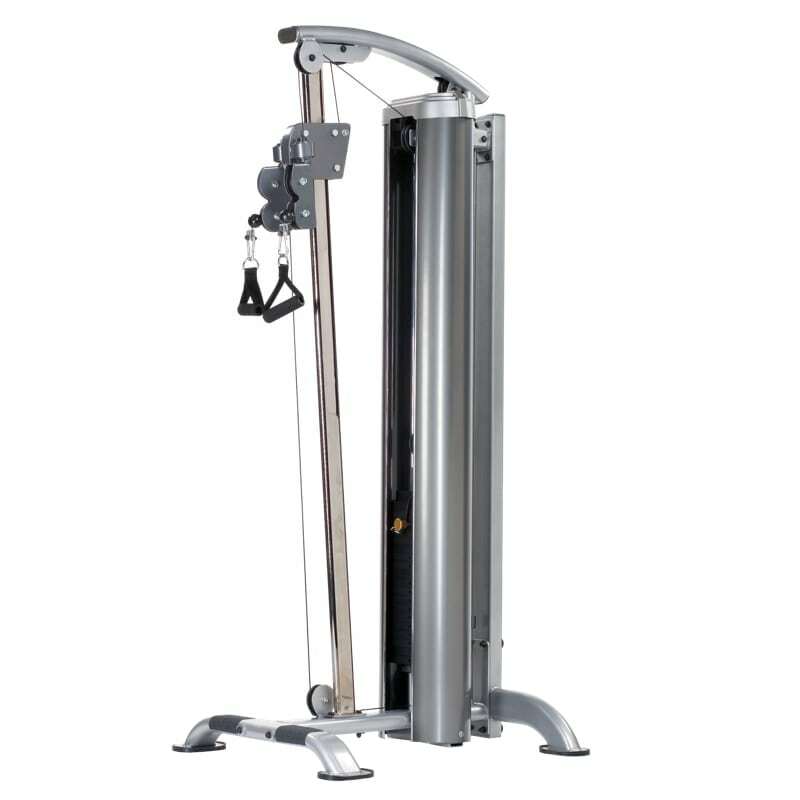 With integrated exercise placards fitted on the weight shrouds, users can quickly see exercise instructions and proper form. The TuffStuff Apollo 7000 Series goes above and beyond traditional multi-station gyms. 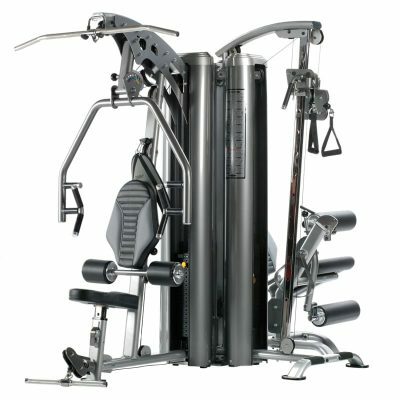 The Apollo 7400 4-Station Multi Gym (AP-7400) includes (4) independent modular units, (4) 200lbs. 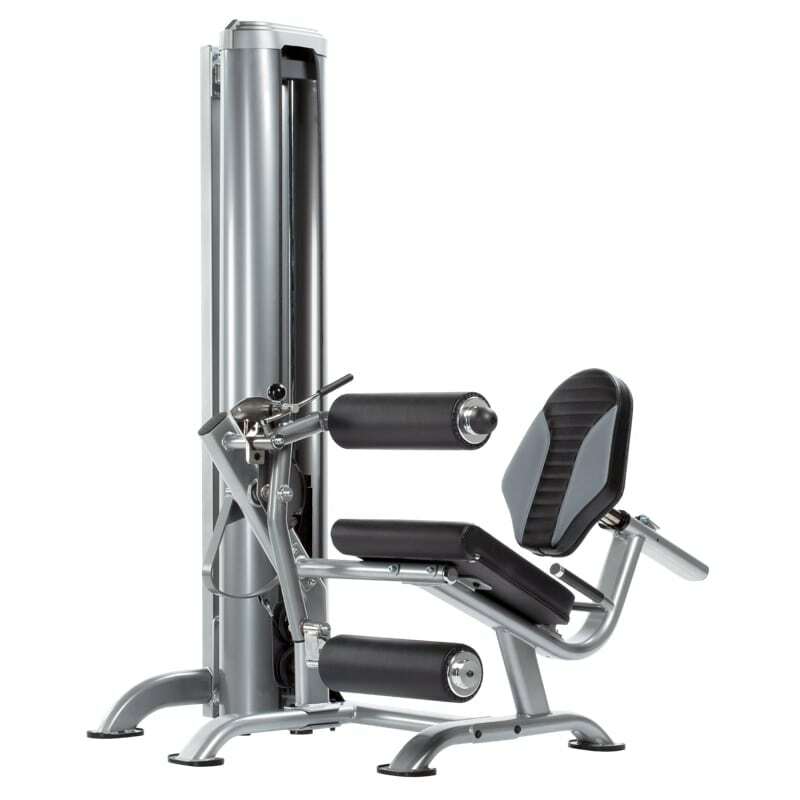 steel weight stacks, and nine exercise stations enabling over 60 different exercises. 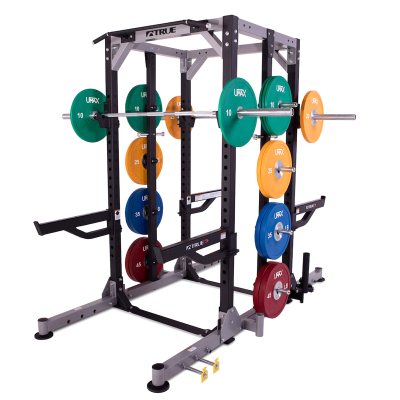 (4) Independent Weight Stacks: black painted solid steel weight plates (200 lbs.) with self aligning low friction sleeves.